Insist on Happiness. Our handcrafted jewelry and accessories are born from a love of diverse world cultures. The perfect balance between distressed and refined. Plowsharing Crafts is a non profit, fair trade retail organization that provides vital, fair income to artisans and farmers in over 40 developing countries. The award-winning timeless British silver, leather and rope bracelet (anchor bracelet) brand that combines naval heritage with a modern style and new vision. Creative alternatives for body & home: colorful artisan glass and antique brass filigree jewelry, ceiling fan pull chains, bottle stoppers and more. Your one stop shop for gotta have it silver jewelry, watches, college gifts and more! Nisha Design has the best new items at great prices! St Jude jewelry, a family-owned jewelry store in Hudson County, New Jersey for over 40 years, offers a wide range of jewelry pieces from around world with personalized service. Shop our always in style, every day, signature pearl and gemstone jewelry pieces. Vintage jewelry, antique jewelry , art deco, art nouveau, retro, mid century, hippie, boho, sixties, contemporary, rhinestones, sterling, bridal. Navika Girl: Fashion With Heart. High quality sorority and equestrian fashion jewelry. Wide variety of beautiful necklaces, bracelets, earrings, and more! We carry jewelry findings, made of brass, electroplated in silver, gold, copper, antique copper, gunmetal and bronze colors. The largest selection of show ring accessories, saddleseat riding essentials, consignment horse show apparel, and equestrian gifts. Gemma Jewels is an online boutique for brides-to-be, bridesmaids, mothers-of-the-bride/groom or party goers to shop for chic jewelry for the special day! 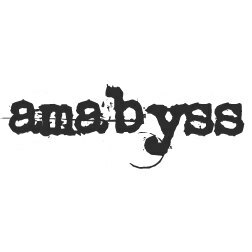 Browse unique items from amabyss on Etsy, a global marketplace of handmade, vintage and creative goods.